In addition to sponsoring the conference, we will also host an exhibit booth, and we have 2 presentations scheduled. 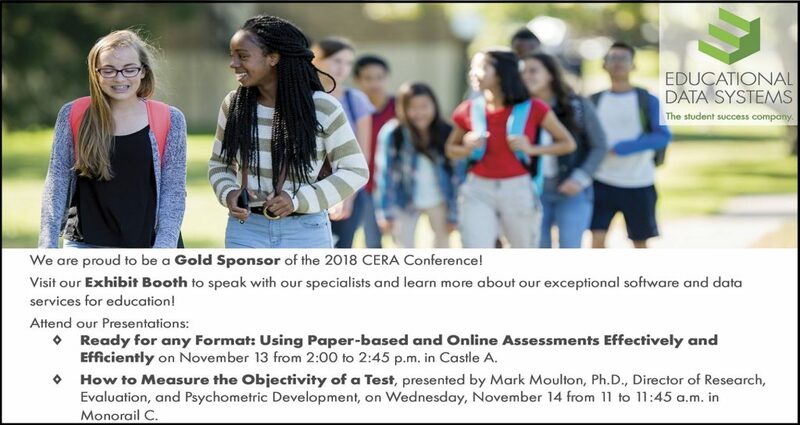 Mark Moulton, Ph.D., Director of Research, Evaluation, and Psychometric Development, will present on the topic of “How to Measure the ‘Objectivity’ of a Test” on November 14 from 11:00 to 11:45 am in Monorail C. Our other presentation is based on research about districts’ use of paper-based assessments, titled “Ready for Any Format: Use Online or Paper Assessments Effectively and Efficiently,” will take place on November 13 from 2:00 to 2:45 pm in Castle A. We hope to see you there—you’re invited to visit our exhibit booth and speak with our assessment and research specialists.